Direct to Consumer (D2C) Digital Native Brands are taking a whole different approach to online sales and marketing, and the traditional brick and mortars should take note. If you, like me, bought a mattress in the last few years, you probably went into the store, laid down on several mattresses and picked one. But the next mattress you buy, the experience will probably be very different. But something happened in the last few years. Most recently, the company Mattress firm, the largest US mattress retailer, filed for Chapter 11 bankruptcy. What happened? The Internet happened. Starting in 2010, several new Internet-only mattress companies have sprung up, so-called “digital natives,” like Casper, Purple, Nectar, Saatva, and others. For the most part, they don't have brick & mortar stores, they produce-to-order from Asia and deliver straight to their customers’ home. There are several of these companies, and they were actually a major cause of Mattress Firm’s bankruptcy because they completely disrupted the industry. They presented new brands, fair prices; better engagement, and… better ads. Here’s a great example of the type of ads these Internet-only companies are running. But a cool ad campaign also needs to be targeted properly, and we can see using our BrandTotal platform that as far as online ads go, the digital native mattress retailers are playing a completely different game than the traditional players like Sealy. As you can see from the screenshot below, Casper (gray) is targeting millennials, and Sealy (orange) a much older audience. Millenials need mattresses, in fact they are often buying their very first mattress since they graduated college and moved out of their parents’ houses. But going into a retail store is a waste of time for them, and not really the way they shop. They want to get a cool mattress delivered to their home. And if they don't like they want to send it back. On the other hand Sealy, a company that’s been in existence for over a hundred years, they aren't even trying to get this audience. They're targeting my parents, and it wouldn’t ever occur to my parents to buy a mattress online. 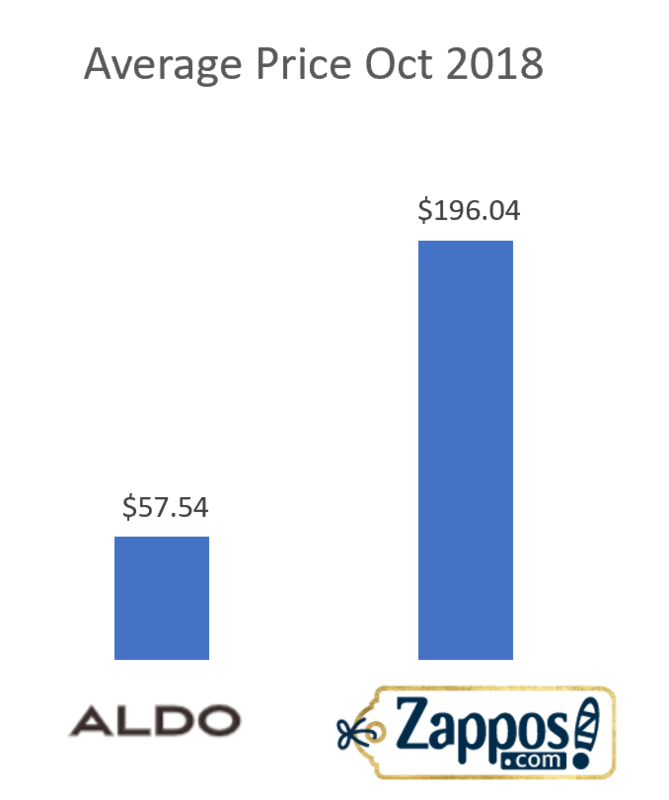 We can see a similar split audiences if we compare Zappos - the quintessential digital native shoe brand now owned by Amazon)- and with the venerable Aldo, a high end shoe brand and worldwide retailer, which has been around since 1970, long before the Internet. Using the BrandTotal platform, we can analyze the prices each brand is posting in its ads. 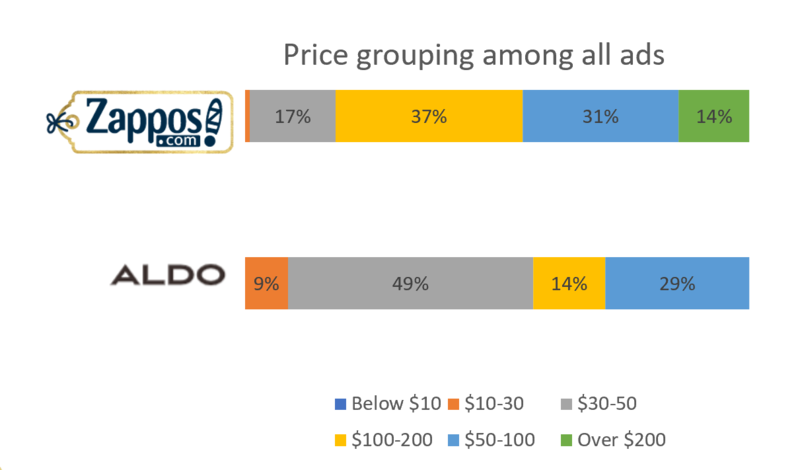 We looked at all the pricing data and tried to understand why the campaigns of the online-only Zappo’s are working better than brick and mortar companies that are also posting online. Interestingly, even though Aldo’s is a pretty high end brand, most of its ads are focused on people who are trying to buy at a lower price point, that is $30 to 50. In fact, more than 50% of Aldo’s ads are for shoes priced at $50 or less, and the overall average price for shoes advertised by Aldo’s online is less than $60. In contrast, Zappo’s ads contain shoes selling at an average price of almost $200! Zappos knows that's people looking online are not just looking for just bargains, they are looking for good shoes that they can wear and are willing to pay the price. So traditional brick & mortar companies can learn a lot from the digital natives, and these are just two examples, from the mattress and shoe industries. There are dozens more, since nearly every traditional industry is being disrupted by online companies, and if they haven’t yet, it is just a matter of time. Even Macy’s took note and is partnering with Facebook to open a pop-up store with 100 digital native brands in time for the holiday season. One message is clear, to help your company from becoming obsolete you can use a platform like BrandTotal to reverse engineer your competition and learn from them. Eyal is an industry veteran. 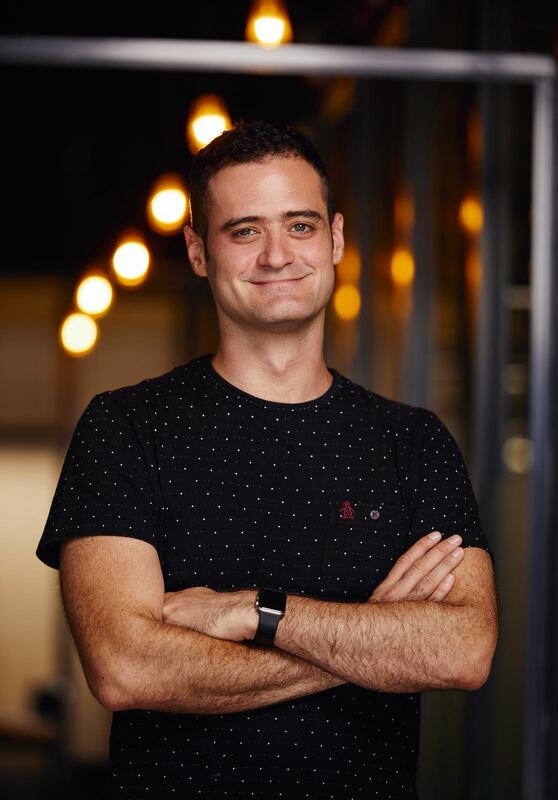 He has worked at UM (Universal McCann) for 10 years, managing clients and media planning teams both offline and online. Recently joined the BrandTotal team as Head of EMEA.